Good Tuesday morning Everyone. 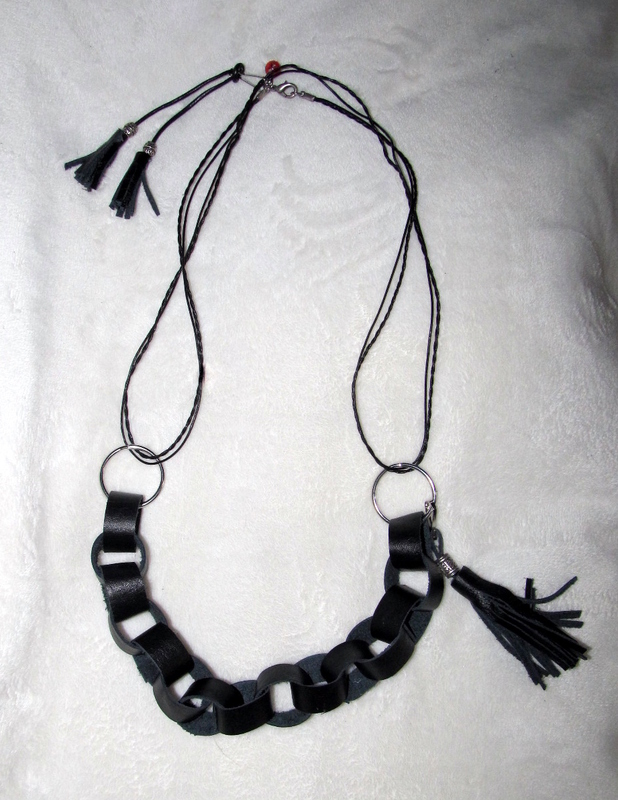 I wanted to share with you this necklace I made last night out of leather and and another leather necklace that I got as a gift from E, My researcher:). I really like how it turned out. I wrote a little tutorial for this at the bottom. 1. Leather cut into 15~ 1/2 inch wide by 4 inch long strips. at Wal-Mart, in the craft Department. I added this Clasp piece, instead of the key ring for this project. 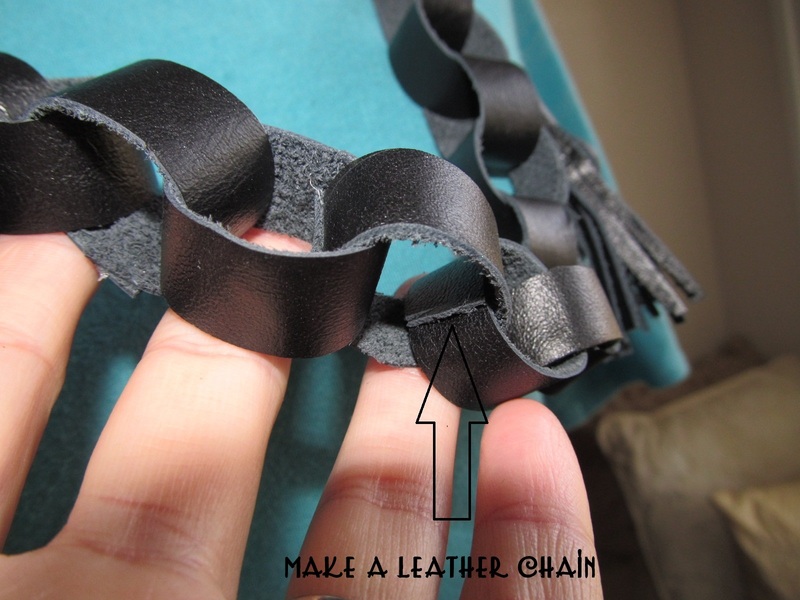 Make your leather Chain just Like the paper chains you made in school for Christmas. I used a hot glue gun, but you could hand stitch this also. 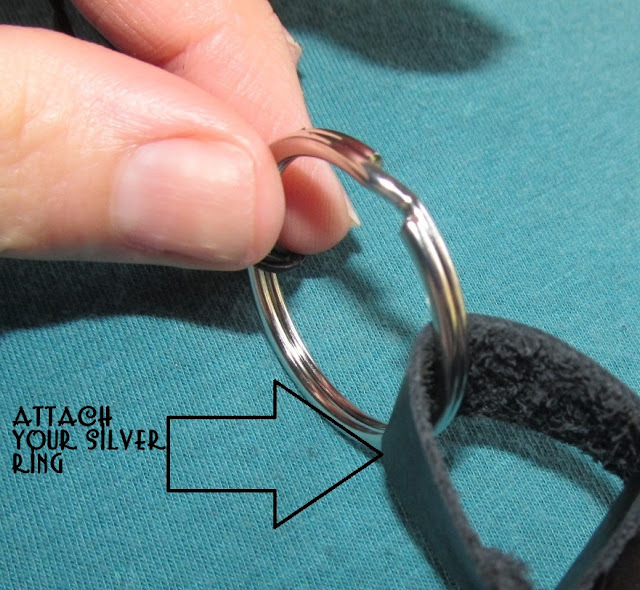 Add the silver rings to each side of the chain. Guide your necklace through the two silver rings. 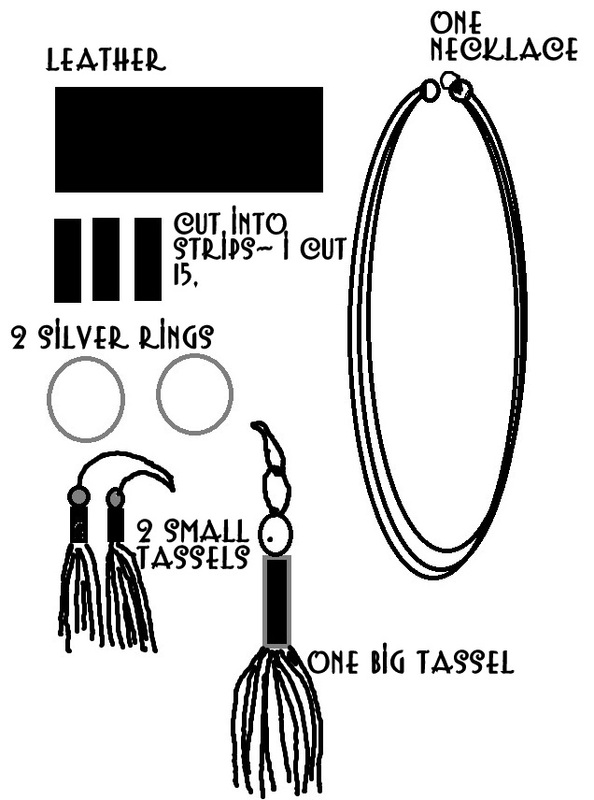 Pull the necklace between the two rings to meet up with the other half of the necklace. 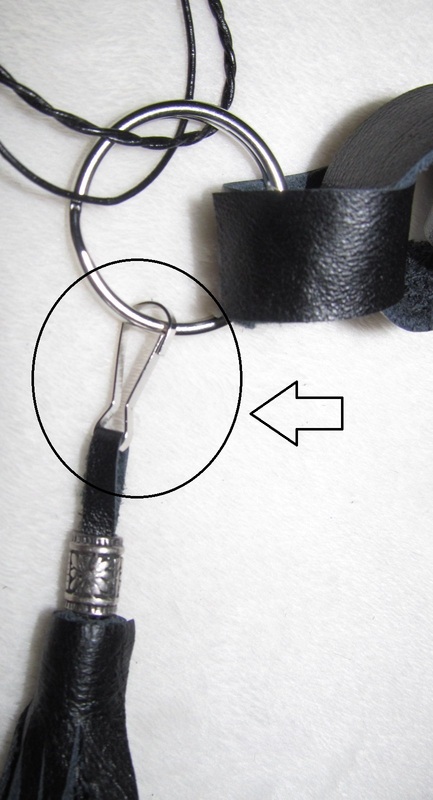 Hook the two small tassels to the back of the necklace. I put it through the ring and around the other half. Now hook on the other tassel to one side of the necklace. 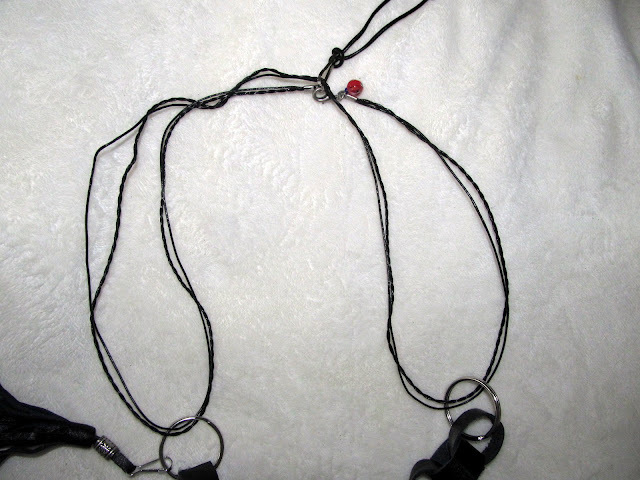 Easy new Necklace for basically free. Have a Beautiful Tuesday Everyone!! I like this so much; I have a thing for big necklaces. 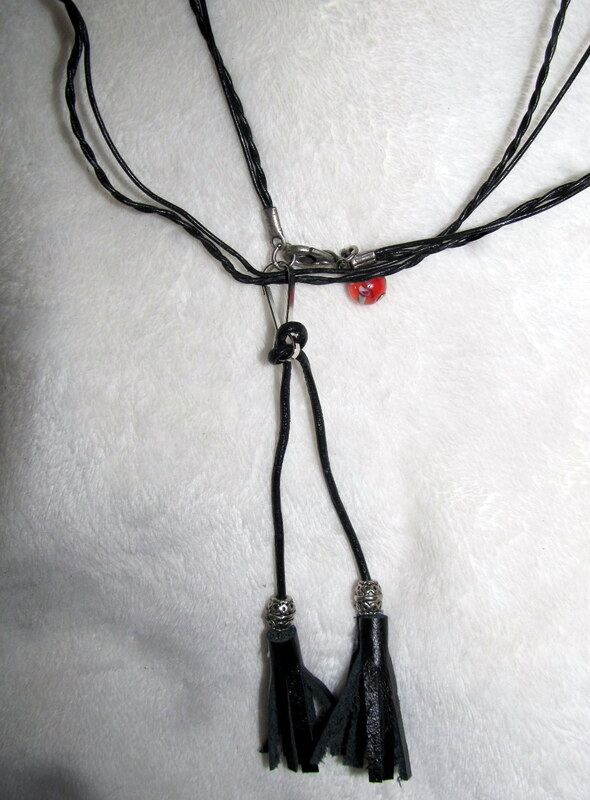 The necklace is very originel. Super cool! 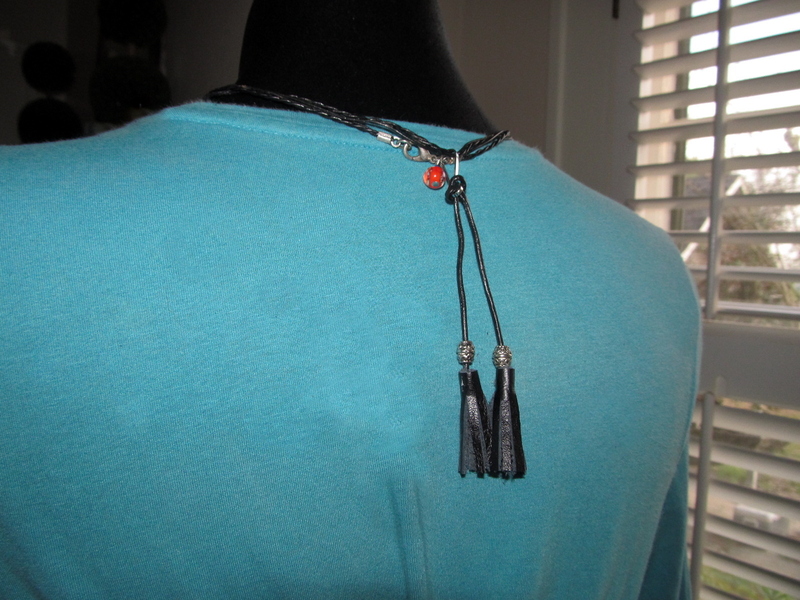 I love that it has tassels in the back too - so it's exciting even if people just see you from the back- wonder did the leather chain make it a "heavy" piece? What a cool necklace. Thanks so much for sharing at my Swing into Spring party. This is fantastic! Looks like Louis Vuitton's Fall'09 collection. Still looks fresh! Like black, would've have loved seeing it in new neon colors (like neon yellow? )..